saying the market will go lower. 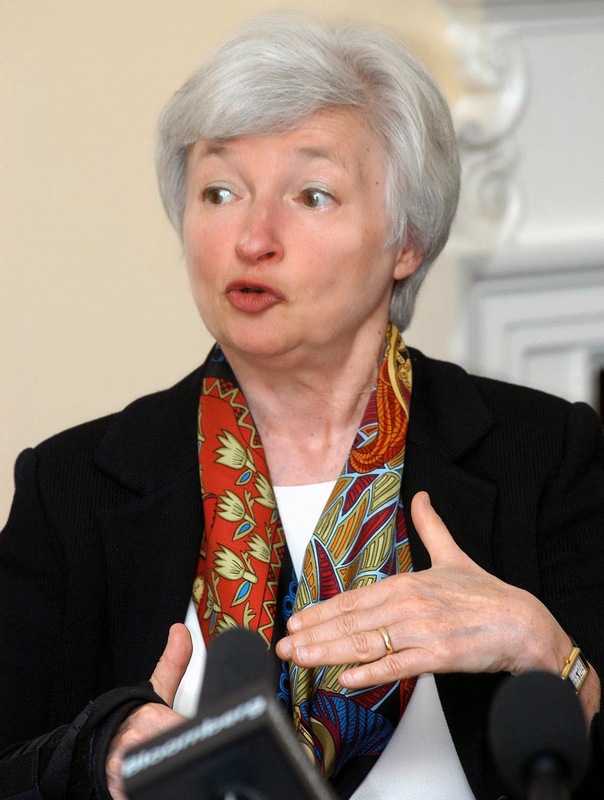 Chairwoman Yellen gave an interesting press conference earlier this week (for those of us geeks who listened!) and mentioned that the Fed will be tapering off completely sometime this fall which temporarily sent markets low. This should also be the signal/premise that interest rates will creep higher (which could also signal a decline in the bond market). Nevertheless, the market is flush with cash (thanks to the Feds) and decent corporate earnings which is sending the stock market to record highs. Plus, an unemployment rate that is slowly declining isn't a bad thing as well when it comes to helping investors find good investments on the cheap. Investors are searching for answers in all the right places, but can't find a solid answer. The talking heads on TV (CNBC, Bloomberg, WSJ, etc). are arguing back and forth about the direction and outlook of the economy. And this is normal, because when it comes to investing...or even the outlook of the economy...nothing is an exact science. Nothing one can make an exact or totally accurate prediction of the future. What do you do??? Where do you invest? How do you invest? The best strategy would be to research and consume tons of market & economic data, map out a plan for successful trading, and make a few tweaks here and there along they way. We don't have to necessarily get our information from the reporters on TV (they're usually better at reporting on what's in hindsight). Do your own research & attend learning events (webinars, conferences, talk to industry leaders, etc.). This way you avoid the short term "noise" that could throw you off course when it comes to your investing. PS - It feels good to be back in the blog-o-sphere! I've been away on other projects. Thanks to the readers who contacted me and asked about the blog. It was great feedback that I needed to hear. I've been doing a lot of research and ready to deliver some new and potent content.